Check out our Featured, Sports Betting Talk for similar articles. Wagering on sports profitably is all about acquiring and processing information correctly. 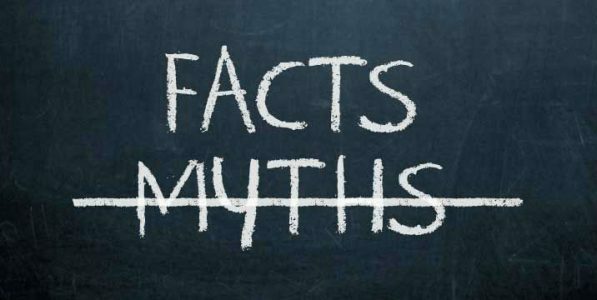 There are a lot of misinformation regarding sports betting out there, but don’t worry, we will help you to debunk some of the most common sports betting myths. This is a very common sports beting myth which is actually not true at all. When a bookie sets an opening line it’s determined by many factors, of which one of many is public perception. If the oddsmaker has reason to believe that the public will favor one side he will make it expensive to back that team, through the moneyline odds and/or the spread. He can then adjust the line accordingly as money comes in to even out the risk as the dream scenario for a bookmaker is to have even action on both sides of a game and just collect the vig. The sharp move is to back the side which shows value, period. If a moneyline favorite is -150 you would always be correct to bet it as long as you estimate it to win more than 60 percent of the time, which is the breakeven point for a -150 fav. If you’re not familiar with how to convert moneyline odds to winning percentage we recommend you to take check out those Odds Conversion Formulas. Some sports bettors claim that they would never lay more than a certain price on a favorite, but the matter of fact is that they’re leaving money on the table by doing so. This is probably one of the most common sports betting myths out there, and definitely one to avoid. The revenge angle is an angle that is extremely situational and also needs to be applied differently depending on the sport. For Major League Baseball where the teams most commonly play in series of three or four games, losing a single game will most likely have little to no effect on the next, at least during the regular season. Meanwhile we might see football teams that play each other less than once every year, which means they’ve really had the time to build up motivation for a gruesome revenge. An important detail to keep in mind is to make sure that the core of the roster is still the same that suffered the last defeat, which might not always the case. Otherwise, where’s the revenge angle? Many sports bettors and handicappers like to take the contrarian route and go against a team on a winning streak. This could prove to be extremely costly as you might end up chasing a team for several games before getting that one win. There’s often a reason why a team is on a winning streak, momentum, team chemistry and what have you. Don’t do the mistake of betting against a winner. Said no winning sports bettor ever. Hitting 55 percent over the course of a season of college and/or pro football would net you a nice chunk of change as you would need to hit just 52 1/2 percent to break even betting on -110 lines. If you look at our sports handicapper leaderboards you will see very cappers hitting above that for the spread sports. Handicappers claiming to hit 70 percent with football over hundreds of bets should not be trusted. We hope you found the article useful and can now avoid some of the most common sports betting myths circulating online and at the sportsbooks.